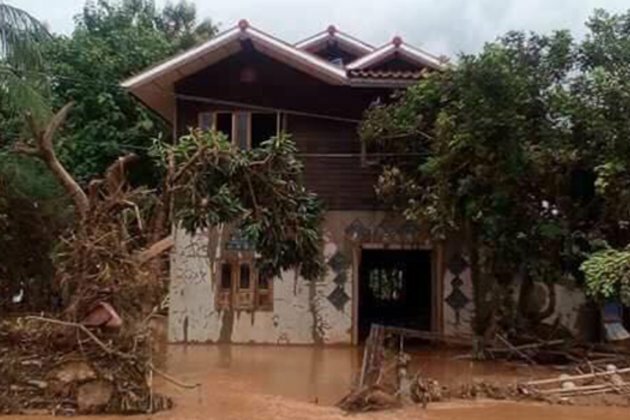 Laos' worst flooding in decades -- the rupture of a dam in July that inundated 12 villages and killed at least 43 people, leaving hundreds more missing - is still reverberating far away in the capital of the poor, landlocked country. RFA's Lao Service recently spoke to a first-year student at the Health Science University in Laos' capital, Vientiane, who says that she now feels helpless, hopeless, worried and uncertain about her and her family's future. "I don't know if I will be able to finish school," said Seumsavanh Vannaphone, whose parents lived downstream from the dam and survived the flooding but are now dependent on government support. "I was being financially supported by my parents, who are now living on distributed donations," she said. Vannaphone comes from a family of six, who are currently staying in a temporary shelter in Dong Bak Village, Sanamxay District, Attapeu Province - about 800 km (500 miles) from the capital. The government gives them $0.60 a day for food and $12 per month for other expenses. "I'm looking for a part-time job now, but I am wondering whether I can get one or not," she said. "I left home two days before the dam broke," she said. "I called my mother but I was unable to contact her until the day after the disaster struck. I wanted to return home to be with my family but my father said there wasn't any place to stay, so I remained in Vientiane," she added. "It's been four months since the dam broke, since my family left our village. During these four months they have been living in shelters, uncertain and worried [about the future]." She explained that prior to the disaster, her family had been relatively well off. They had two houses, a rice field, a garden and livestock where they lived in Sanamxay District's Ban Mai Village. "We lost everything. Now we have nothing, absolutely nothing. There's no home to return to," she said. "I'm so discouraged," she said. "Living conditions in the shelters are difficult. My parents aren't working. They rely only on the government and they cannot look for work," she explained. "They can't do anything other than wait for assistance. In the future they don't know where they'll go, where they'll live or what they'll do." Reported by RFA's Lao Service. Translated by RFA's Lao Service. Written in English by Eugene Whong.